A three-judge panel of the D.C. 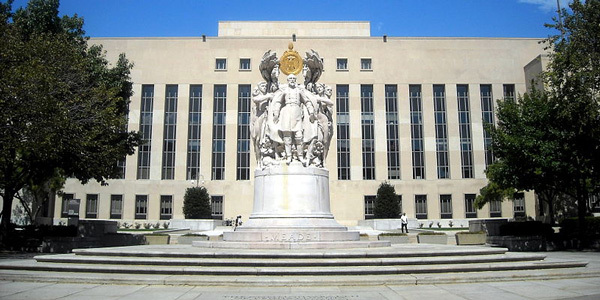 Circuit Court of Appeals on Friday questioned whether FERC had changed its position without adequate explanation in its approval of ISO-NE’s renewable technology resource (RTR) exemption from its minimum offer price rule (17-1110). New England generating companies — including NextEra Energy Resources, NRG Power Marketing and PSEG Energy Resources & Trade — sued the commission last year over the exemption, which allows 200 MW of renewables annually (up to a 600-MW maximum) to clear ISO-NE’s capacity market without regard to the MOPR. The companies charged that FERC reversed its position from previous orders finding that out-of-market entry into the market can suppress prices and that it never justified the 200-MW cap. “The narrowly tailored renewables exemption, in combination with ISO-NE’s sloped demand curves, balances our responsibility to promote economically efficient prices, while accommodating states’ ability to pursue legitimate policy objectives,” FERC said in its order on remand. As FERC attorney Carol Banta attempted to explain Friday how the RTO’s implementation of a systemwide sloped demand curve — approved along with the RTR exemption — has lessened the price effects of the exemption, Judge David B. Sentelle interrupted her, saying he wanted to focus on “the more mundane aspects of administrative law.” He asked that she defend the charge that FERC had unreasonably changed its position. “That’s a lot like saying it ‘changed,’” Sentelle said. “Now we certainly have a lot of precedent that says that an agency can change, but we say that in order to avoid being arbitrary and capricious they have to explain why they changed.” He asked Banta to show where FERC explained its reasoning. As part of CASPR, the RTO plans to phase out the exemption by allowing accrued exempt megawatts to be used through Forward Capacity Auction 15. The companies cited Commissioner Richard Glick’s dissent on the order, in which he said FERC’s pursuit of “investor confidence” would cause over-procurement of capacity. The Eastern New England Consumer-Owned Systems also requested rehearing, criticizing the commission’s accepted definition of sponsored-policy resources, which limits participation in the second auction under CASPR to renewable resources procured by distribution utilities as part of state mandates. FERC’s “adoption of the discriminatory ‘sponsored-policy resource’ definition results in the exclusion of conventional generating resources developed by New England’s consumer-owned utilities from the eligibility to participate in the Substitution Auction without identifying any rational basis for its conclusion that public power conventional resources are not ‘similarly situated’ to state-mandated renewables purchases by investor-owned distribution utilities,” the municipal utilities said. Several clean energy advocate groups, including the Natural Resources Defense Council and Sierra Club, reiterated their complaint that the RTO had not justified eliminating the RTR exemption. “CASPR replaces a proven mechanism for reconciling state policies with competitive capacity markets with a totally unproven construct that offers little likelihood of integrating renewable resources,” the groups said. Like NextEra and NRG, consumer advocacy group Public Citizen cited Glick, agreeing with his criticism of the commission’s focus on investor confidence in its justification. FERC rejected Algonquin Gas Transmission’s request to exempt gas-fired generators from competitive bidding under capacity release rules. FERC has again upheld ISO-NE’s limited exemption for renewables from the RTO’s minimum offer price rule. FERC has accepted ISO-NE’s 390-MW reduction in its load forecast, reflecting the impact of distributed solar resources, rejecting protests from generators.